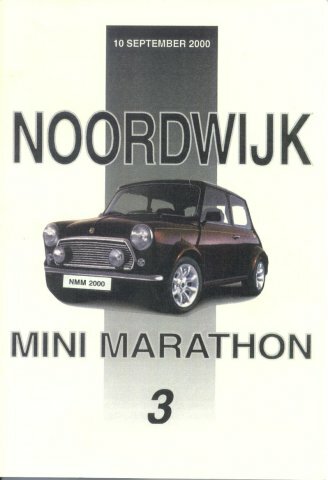 NMM is an abbreviation of 'Noordwijk Mini Marathon'. 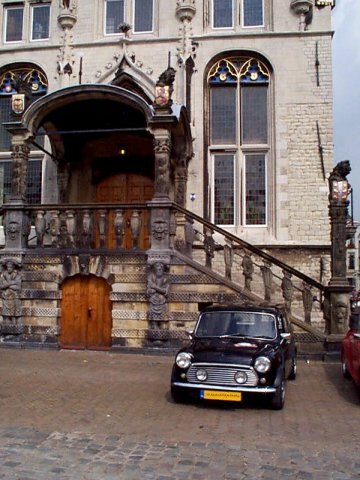 Originally modelled after the L2B, it now is one of the largest events in the Netherlands. 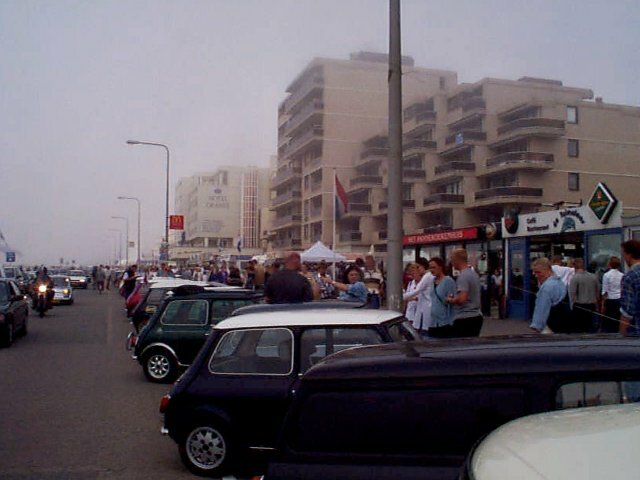 After my win of the 1st edition in 1998 and my absence during the 1999 edition it was time to take part in this major Mini event of The Netherlands again in 2000. Although planning ahead isn't one of my strong points, the fact that the required (because of limited entries) pre-registration could be done electronicly helped a lot, so I secured my place and all that was left to do was turn up in time. The saturday before this sunday event I collected my Van which had had some major surgery done to it; new engine installed and a partly respray. 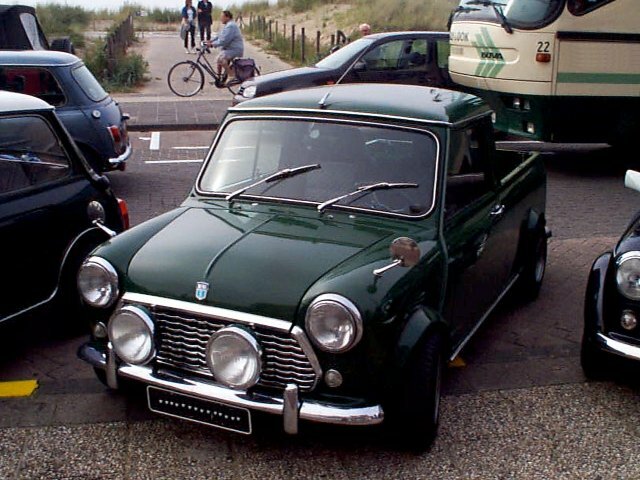 So the NMM would be the 1st part of breaking in the new engine as well as getting requainted with the joys of driving a Mini after having done without one for a number of weeks. The evening was spend hanging outside a local bar, listening to a band, enjoying the company of friends with drinks lining up. At around 4am I got back home and got to sleep close to 6am. But eventually I did drag myself out of bed around 9am and was present at the start, which luckily was at a small castle (nice setting!) near my home. 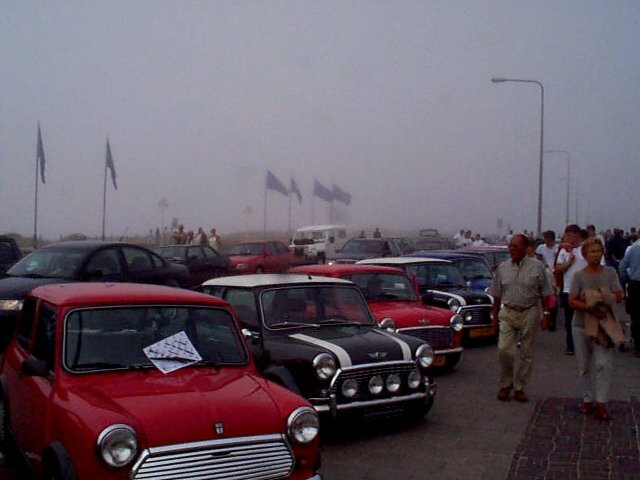 I obviously wasn't the first to arrive and met a lot of fellow Miniacs who'd gotten there before me. Confirmed my registration and talked to numerous people, some I already knew, others I only knew by name from the Dutch MiniList and said hi to the crazy Scot's of The Mini Clan Scotland (of which one of the Dutch Lister's Arno is a member) who had come all the way down do take part in this rally. Read their report. The 'rally' as such was again fairly simple; a map was given with a number of point indicated. At those points letters could be found and together you could form a word or sentence. And again there was a tie-breaker. 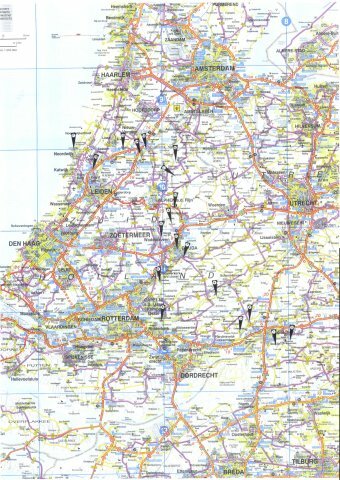 As I didn't find my entry sheet untill after the finish, I wasn't as lucky as the 1st time so I really had to make an effort to find all the points on the map this time around :) Using a smaller scale map of the region this wasn't to hard for the 1st part. 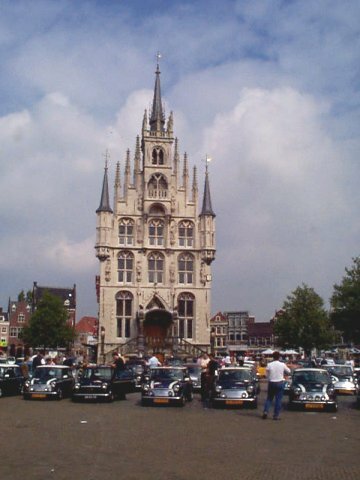 The rally was sort of devided into three sections; one from the start till the crossing of a river with a small ferry, the other from the ferry to the city of Gouda, where we were allowed to park on the historic marketplace and the last section from Gouda to the boulevard in Noordwijk. Van in... ...Gouda Scot's Brother & Sister ? After the stop there I was well on my way to finding the letters again, up to the point where my own map 'ran out'. From there on it was rather a disaster. Didn't find any letters anymore (even though they are very well indicated) and at a certain point had a feeling that I 'wasn't in Kansas anymore'. This feeling proved to be correct when I used a bit of highway to compensate my running around; it wasn't at all the highway I thought it would have been :) In the end I did a large detour but found my way to Noordwijk and the boulevard where I finnished.